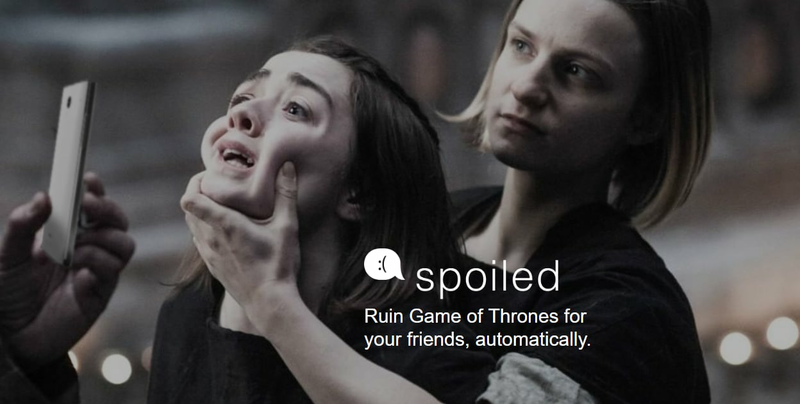 As soon as the season eight airs, spoiled.io will send out spoilers to your unsuspecting friends and enemies. You just have to provide the website with their phone numbers. This could be effective especially in India as the new episodes will premiere at 6:30 am on Mondays starting the coming one. The price of sending out the spoilers? Rs 69 and friendship.